Hi all...I'm taking the CPC-P exam tomorrow. 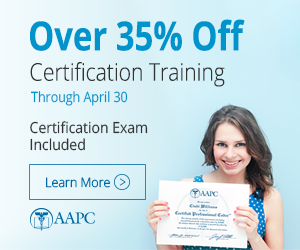 I have studied through the study guide and have taken the practice tests through AAPC and other sources. I have scored quite well which makes me nervous!! Has anyone out there taken the Exam? ?...Should I expect surprises?? I never go into an exam overly confident; but it sounds like you've prepared yourself, so I think you will do okay. Good luck!! Again, you sound prepared. I plan to take the exam in December. Please post any surprises you encounter. I am taking my exam next Saturday, Oct 2. I am excited and nervous at the same time. I feel I am well prepared for this. yea, it is no joke! CPC Exam vs CPC-H exam. Which did you find harder?